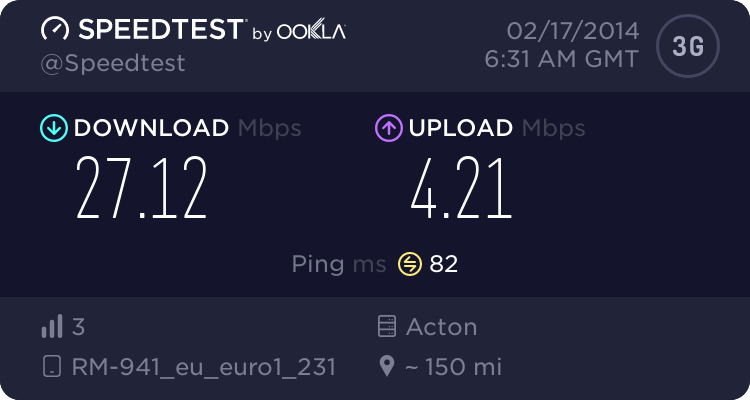 Well looks like my Speedtest results are still broken with Origin. That's me with 3.5 down and 4.5 up Anyone else getting this? (19-04-2012 10:55 PM)TTM13 Wrote: Well looks like my Speedtest results are still broken with Origin. That's me with 3.5 down and 4.5 up Anyone else getting this? OK, so some odd stuff going on for me! 1st. Im apparently in Doncaster!? Nope, Barnsley! 2nd. IE gets 55ms ping to leeds, Chrome 110ms!? 3rd. Phone on Wifi uploads at 9.5Mb, Computer wired does 6Mb!? (20-04-2012 12:18 AM)ThEGr33k Wrote: OK, so some odd stuff going on for me! 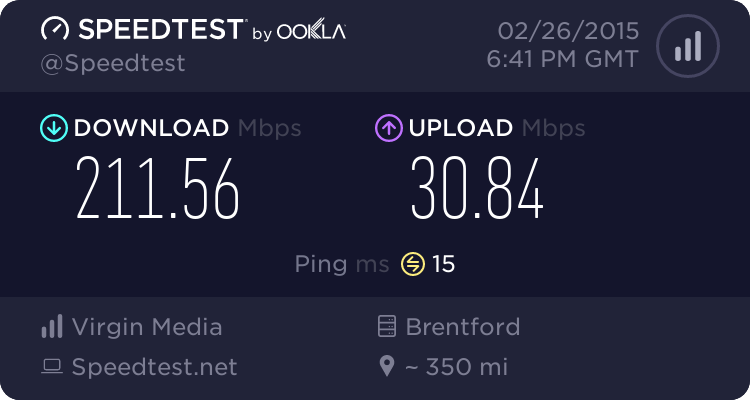 Did that test and Peaked at 39.55down and 7.5up atm... with 40ms pings though all the results are all over the place!? DR or one or all of the ISP needs to have some speed test so we can tell where the hold up is! DR or Ask 4 needs to have some speed test so we can tell where the hold up is! If there is one complaint I have about Digital Region its the pings. Clearly Thales have been a little paranoid about the line settings as people on Infinity are getting much lower pings than us. That said, 40ms should not be that big a deal. Incidentally the problem with VM was not that their pings were high, its that they fluctuate wildly. So when they are good, they are 15ms, but when they are bad you will be getting 15, 130, 50, basically a TON of jitter. When it comes to latency, its better to have permanently high latency than to have jitter. Because jitter can make gaming feel like having an epileptic fit with it going smooth, judder, smooth, judder.